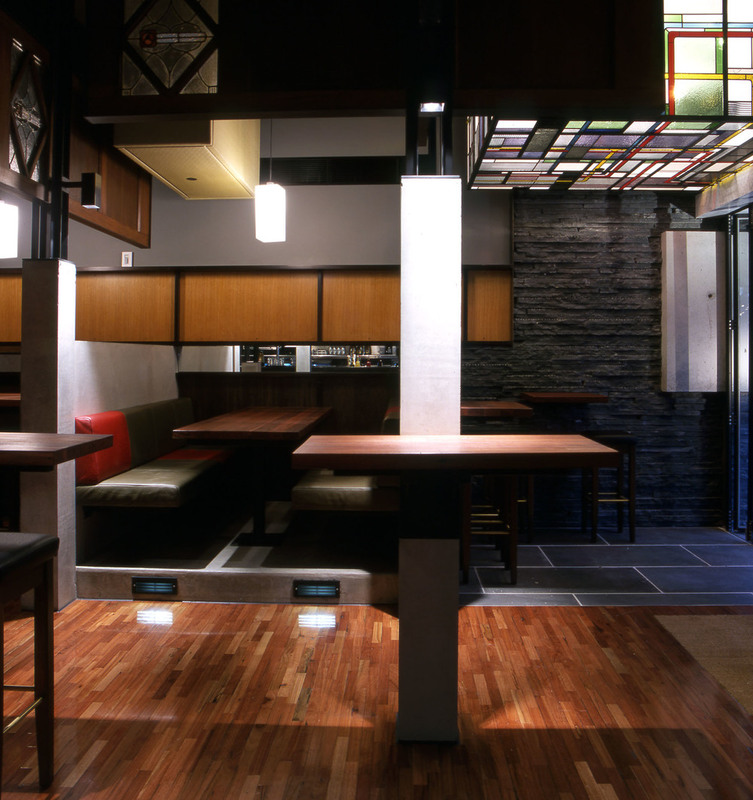 3 Below bar was designed to embody the intimate quality of being in a forest. Concrete and steel are used to create abstract tree trunks while repurposed timber doors and fabric panels hover overhead like a tree canopy (while also concealing services and providing acoustic treatment). Melbourne’s old trams are used as a secondary conceptual driver, seen in the green leather seating (with patches of red like the old repair jobs on the tram) and the use of mirror that references tram windows. 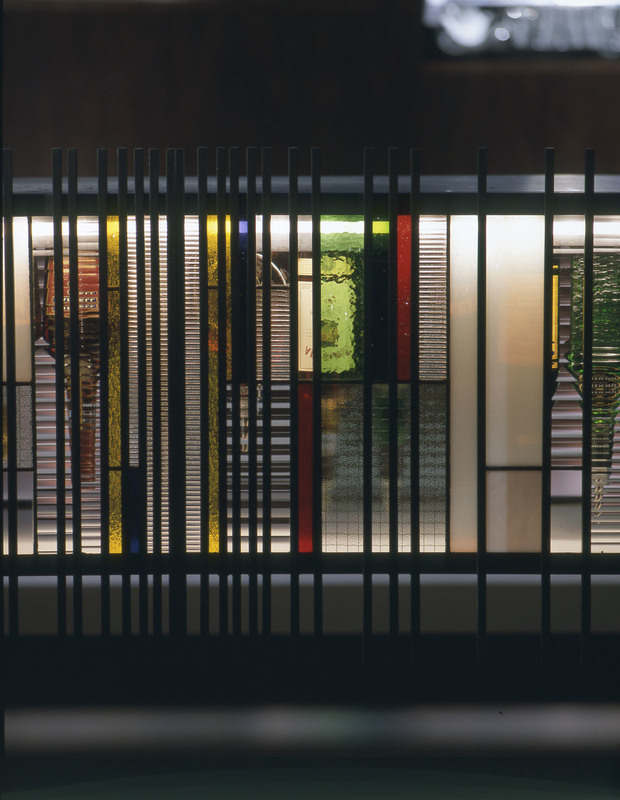 The mirrored datum line allows patrons to be subtly voyeuristic, to quietly observe the scene. 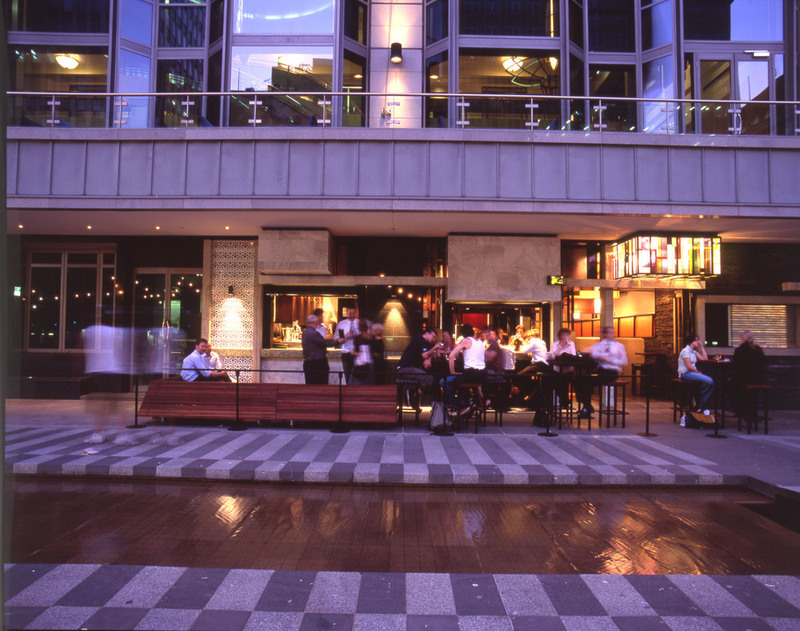 The public edge of the building is flexible and porous, with lift up windows and fold back doors, taking advantage of the bar’s prime position in Melbourne’s City Square.